13 July 2017 – Mobilicom Limited, developer of 4G Mobile MESH private networking technology, has secured its second expansion of the Mediterranean Gas Project, bringing the total sales-to-date with the system integrator to exceed $1,100,000 for this project alone. This expansion demonstrates Mobilicom’s continued partnership with the system integrator for the Mediterranean Gas Project. Mobilicom has now supplied several solutions for the project, enabling offshore gas operations security. In doing so, the customer has used Mobilicom’s technology to provide robust and secure connections among all operational platforms including support & operations vessels, coast stations, large ships and other platforms. Mobilicom’s solution enables communication between these mobile elements at a distance exceeding 50km. “This project has built credibility for Mobilicom with the system integrator, who has expanded our partnership on this project as well as additional projects. We have sold 28 Mobilicom systems for this project to-date, for use in extreme operational conditions and harsh environments,” said Mobilicom’s Managing Director, Oren Elkayam. 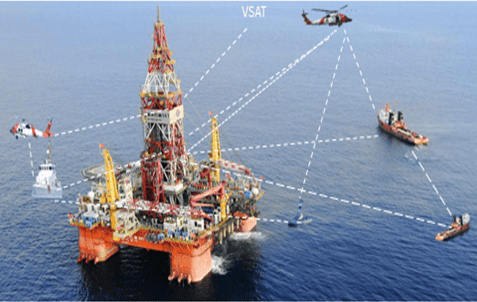 Using Mobilicom’s core technology, merging 4G with mobile-mesh networking, various entities involved in offshore oil and gas operations can communicate and share high-definition video, VoIP and broadband data. The Mobilicom offering can be provided at less than 20% of the capital cost, and zero operational fees, as compared to existing methods such as satellite communications technology.